Tired of playing on the same old casino sites? Grosvenor Casino is a unique, fresh online casino that promises hundreds of your favourite games. It uses popular Playtech software to ensure the best possible gaming experience. Along with exciting huge promotions and a safe, secure environment, this casino is one of the best loved casinos in the country. It also offers offline casinos and has years of experience within the industry. If you’re looking for something new, you will definitely find it here. The choice of games available at Grosvenor casino is exceptional. There are slots, card, table, poker, instant games and live casino games available. All top of the range casinos also feature a live experience. The live casino offers a unique, interactive experience. It provides you with all of the thrill of a real casino without having to leave your home. Choose from Baccarat, Blackjack, Roulette, three card poker or Hold’Em. Unlike a lot of its competitors, the casino uses both male and female dealers. This ensures it caters to both male and female players. 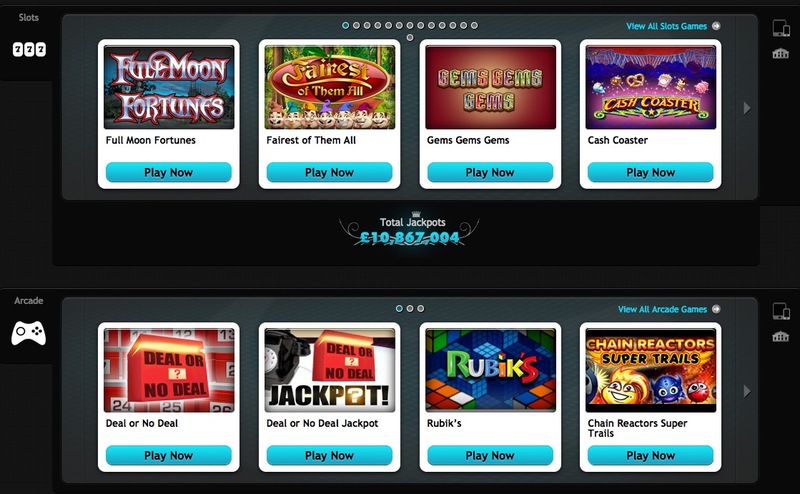 If you don’t fancy the live games, there are plenty of standard casino games to choose from. You’ll find all of your favourites such as Roulette, Blackjack, dice and video poker. The games can also be played via mobile device. So, wherever you are, you don’t have to miss out. The design of Grosvenor Casino is actually pretty impressive. Its layout is fantastic. One thing that it does particularly well is its games tab. Click on the ‘Table and Card’ tab for example and you will find games organised into categories. This makes everything exceptionally easy to find. The company also makes use of the popular black theme. Used to create a professional, elegant design, the site really does capture your attention. It is enjoyable to play on and the organisation of the design is definitely one of the highlights. Another great advantage of playing on the site is its loyalty scheme. It is unique to the company and works via Play Points. You receive points for playing on your mobile, online or even at a local offline casino. The site is working on adding exclusive Play Points promotions. Players also have the option of becoming a black card member which offers exclusive rewards and treatment.